Home / Credit Repair Blog / What to Do with a Windfall – Lottery Luck! 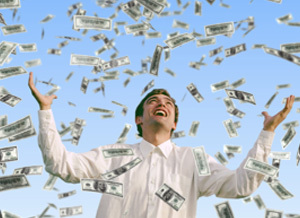 What to Do with a Windfall – Lottery Luck! Got an emergency fund? If not, stow at least some of your money in a savings account so you will have it the next time you have an unexpected car repair or other minor calamity. Take an inventory of your debt. Throw a good chunk of your windfall at your highest interest debt that has no early repayment penalties. The amount that you’ll save in interest payments will beat any investment by miles. Do you have too many installment loans? More than a few, and it decreases your credit rating. If you owe just a bit more on one installment loan, consider paying it off. Use a small amount of it to buy something fun. Is there a pricey restaurant you’ve been dying to try? Do you have enough to spend a couple hundred on a romantic weekend away? Spending a bit of money on an experience that you will enjoy is a better investment than buying a toy that will lose its luster in a few months. By putting some of the money into pleasure, some into security and some into debt management, you’ll maximize the benefit from your surprise cash.